You might remember that we explored something very similar a week or so back in the “Drop Mitch” video. Same troops, but instead we had 2 camps of Night Witches, 2 camps of Beta Minions, and just one camp of Drop Ships. Switching things up a bit for this strat was interesting because the troops have slightly different roles. Right now, my Drop Ships and Beta Minions are maxed at level 14, so they can handle a reduced number while still being effective. The Beta Minions are the heavy lifter of the attack strategy, so I just needed to keep them going as long as possible, maybe with a little help from the Bats. 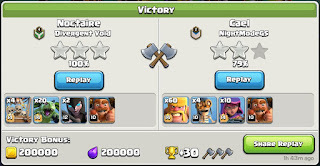 The complicating factor here is that the Night Witch MUST have a ground based tanking troop to keep her alive. That’s often the Battle Machine. However, in Minion Drops, the Battle Machine comes late to the party and handles clean up while the Drop Ships are the primary tank. So I thought I’d start out bringing all of the troops to bear quickly. 3 Drop Ships, the line of Beta Minions, then the Night Witches preceded by their tank, the Battle Machine. 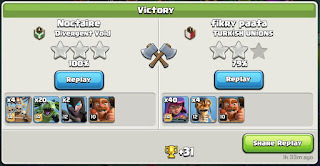 The first attack was a 3-Star win. I thought I might be on to something until I watched the replay and realized it was a fluke win; the Night Witches had gone down early on in the attack and didn’t really contribute anything. The next few attacks upheld that observation; launching early with the Battle Machine was not working. Next I tried delaying his entry into the battle but still brought them all in well before clean-up...same result. 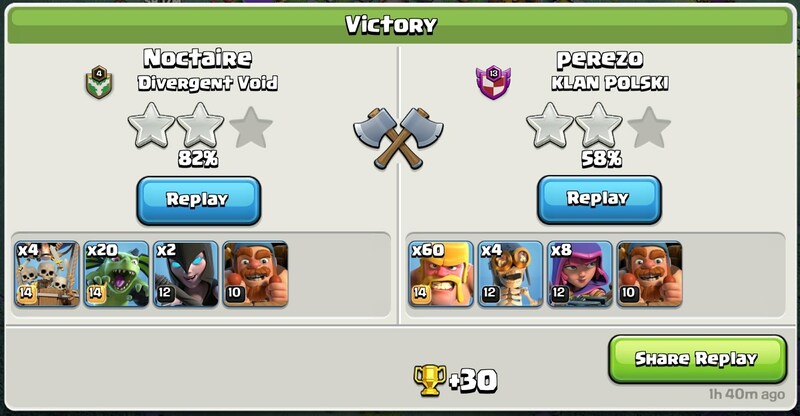 At this point, I figured I was trying to change the attack in a way that just didn’t make sense, even with level 14 troops. The Battle Machine is my clean up guy, coming in after the Beta Minions and Larrys clear the bulk of the defenses. I should continue that idea and make it a clean up crew instead. Two 3-stars and an 82% 2-Star...not bad. The key was to use the Night Witches at the end where they could improve the clean-up, shoring up the Battle Machine’s efforts. In one case, it was the Bats that finished up the last 3 buildings for the 3-Star win. I’d found the key to the strategy. The next two attacks, though...not so hot; both were losses. One in particular proved especially interesting though - a near max BH7. This quickly laid bare the limitations of this strategy. The higher level defenses, even against level 14 troops, were able to put the hurt on the forward attack enough so that the Night Witches didn’t stand a chance, even at the end. You might be wondering where I finally came down on this one. The attack only worked for me when I put the Night Witches in the clean up slot along with the Battle Machine. It did not work well against more mature BH7 games, so I think it would be best suited against less mature BH7 games (so rushed or early BH7) and BH6 games. 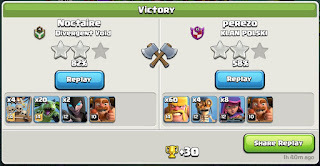 I think you MIGHT be able to get away with all level 12 troops, but it would be tough with the extra strength of level 14 Beta Minions. 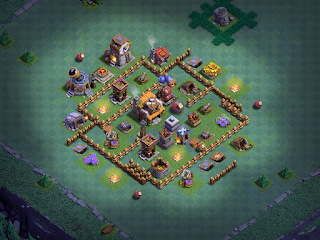 I also think the attack is limited by base design - it will work ok against designs where the forward attack can take out most of the defenses, but if 2 or more of the MultiMortar, Roaster, and/or Giant Cannon survive the initial run, it will almost certainly be a failed attack and likely a loss. I put together a video with replays from all 10 trial attacks, as well as commentary similar to the above. Special thanks to Saukin94 for the idea to tinker with this one!